I have spent most of this month so far contemplating on my 2016 direction in life. I adore my Etsy shop and helping people with their daily issues whether it is relationships, finance or just plain being happy and joyful every day. Consequently, I have added a new blog to my life: https://intuitivecounselorblog.wordpress.com/ and will most likely be spending a lot of time there. So make sure that you follow me by putting your email in the follow section and you will get all my updates which will be more regular than here or anywhere else. Blessings. 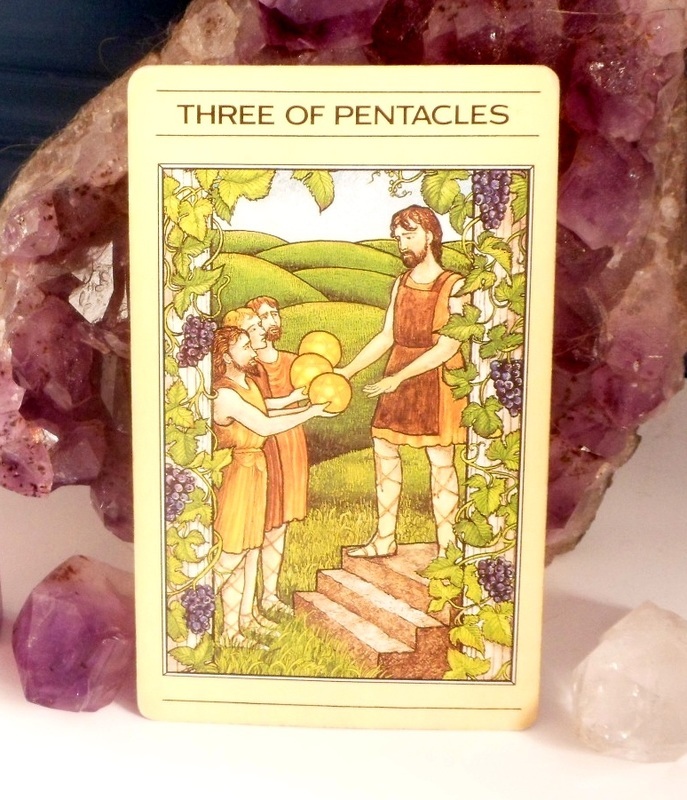 I have been busy with tarot readings but wanted to bring you the good news regarding 2016. 2+0+1+6 adds up to the number 9. This indicates that this year is a year of completion. In our case: spiritual completion. Therefore anything spiritual that you attempt this year will be in full completion. (Spiritual just indicating something you want to do.) So what is stopping you? And what better card to show up but THE SUN? 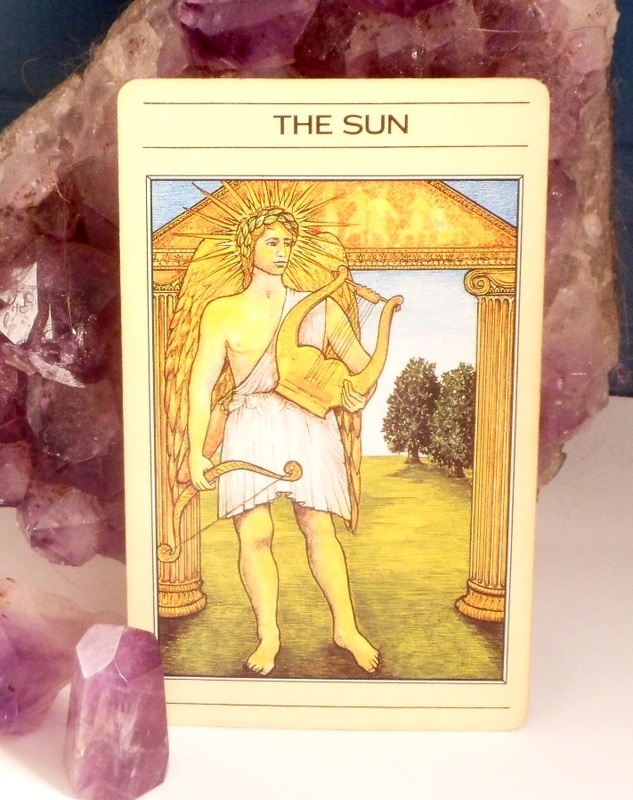 The sun is indicating that this year you will have a fresh start . Feel stuck somewhere? Well start over and you will complete it this year as long as you focus and do the work. This is not hard work; you just have to do it as quickly or as slowly as you want. Want to learn to knit? Well learn. Want to learn to love yourself? Well learn.... and my new self help - self love meditation is a great place to start. But if my meditations are not for you, go wherever and find others or books or just talking with the Divine. Whatever you wish to accomplish this year, now is the time. ​As we are all getting ready for Christmas 2015, so is the astrological world with our last full moon of the year happening this Christmas night. You may find yourself being pulled between family and your own needs. And as the New Year approaches, many of you will be considering what change to make for 2016 that will make things better. Hint: think back to what you were doing July 26, 2015. 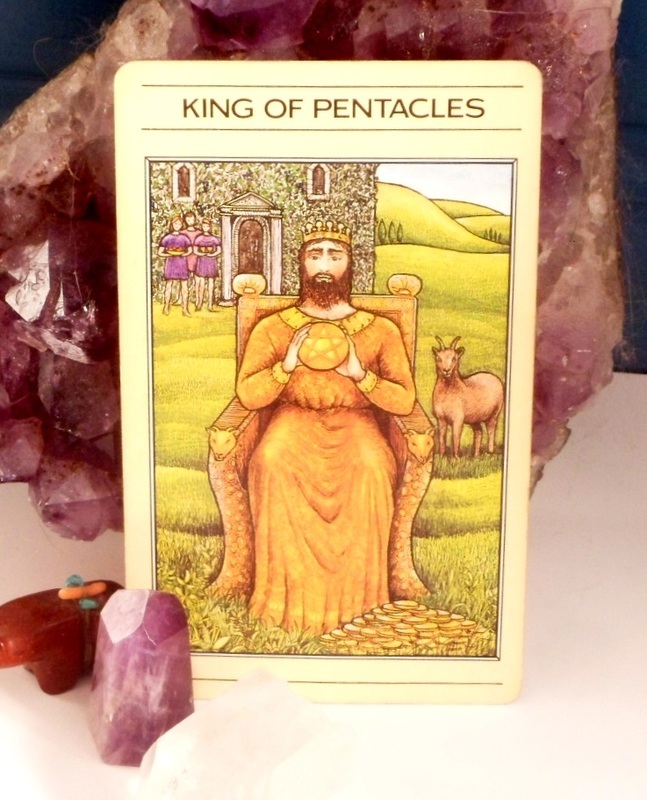 The King of Pentacles is telling you that if you truly want to change and be more stable in your life physically, emotionally, mentally and spiritually... then now is the time. It is time to materialize your dreams into reality. Be realistic; sit down and form a plan. The next Christmas full moon doesn't happen until 2034. So what are you waiting for? 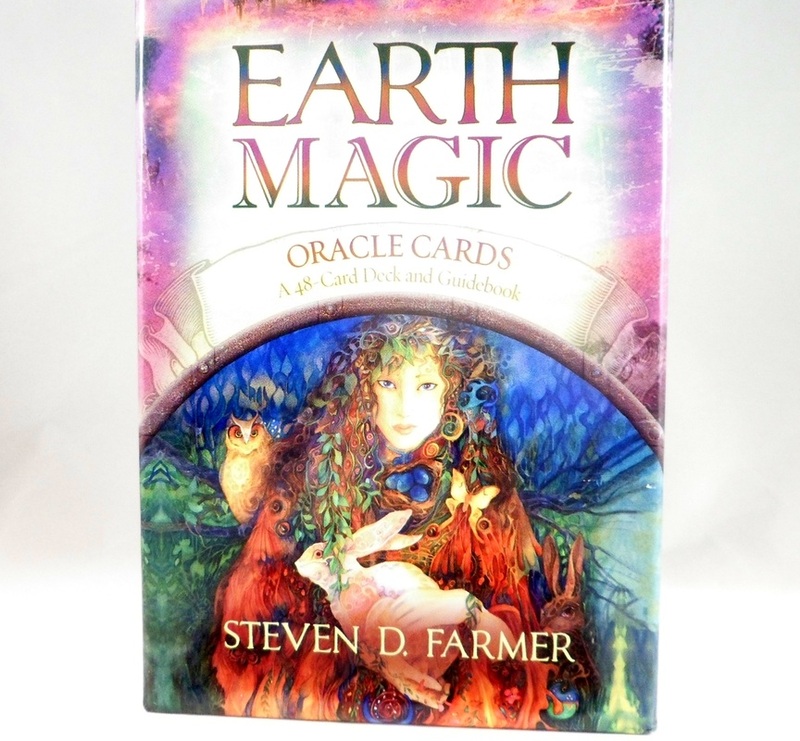 You choose the deck: Mystic Tarot, Earth Spirit Cards or Crone Cards. Before the chaos sets in, allow yourself time to breathe and remember the important things in life. 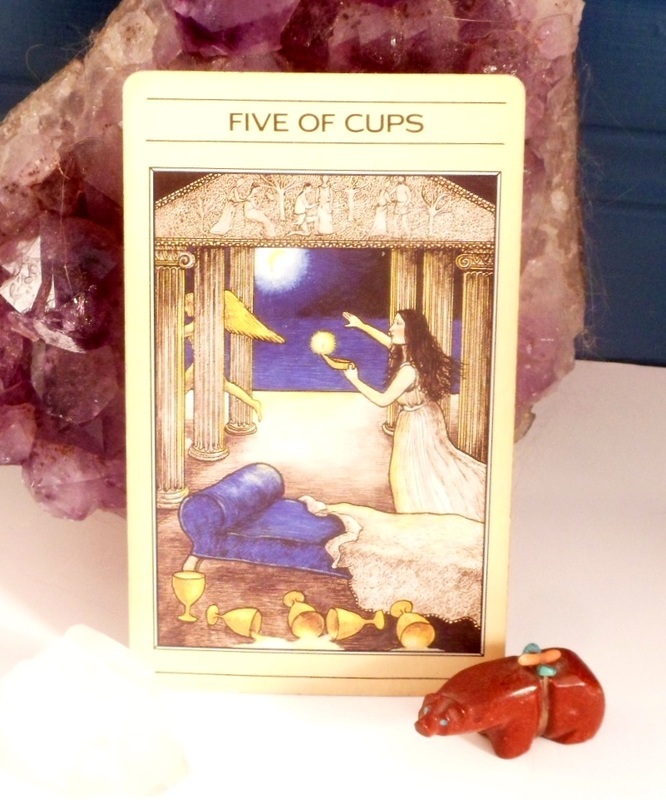 Don't cry over past issues as you see in the Five of Cups, but rather remember the spirit of the holidays. Be grateful for all that you do have instead of resentful for what you don't have. Remember the joyous times rather than the angry times. This is the time to mend those broken spirits not only with others but also with yourself. So take that deep breath and begin. Enjoy this week and don't get caught up in the chaos . 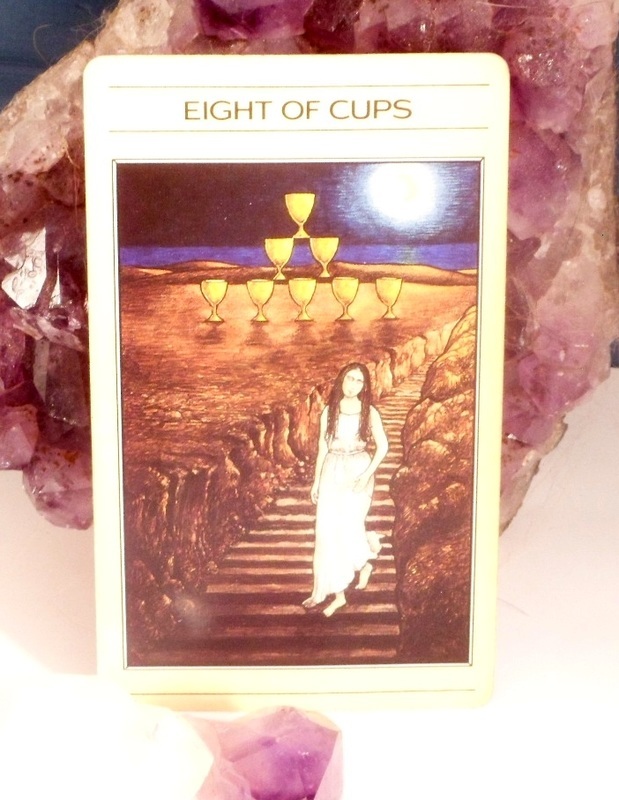 Ever had a tarot reading where you are left with more questions than answers? Not here! 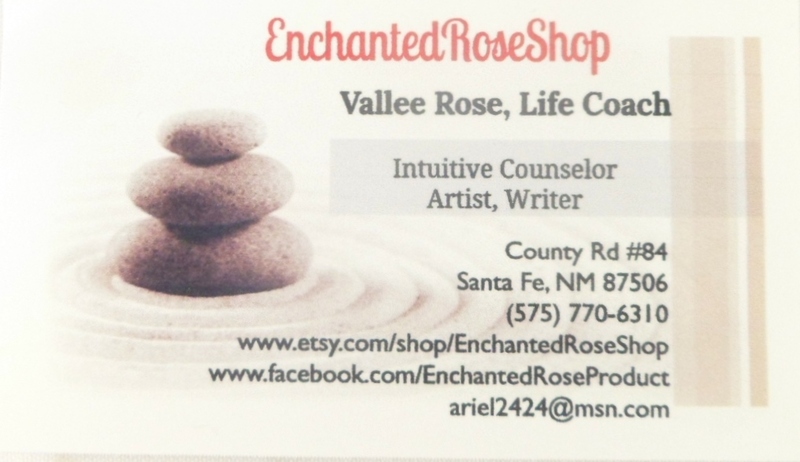 I am now offering readings with on-going assistance options. Check out my Etsy shop or just browse the opportunities in my shop here. Click on The EnchantedRoseShop tab and choose from the drop-down menu. ​​With the holidays looming ahead of us and people rushing around, family matters popping up, gifts to purchase and more, you may be feeling a bit overwhelmed. Unfortunately this time of year can bring out the worse in people. So how to make sure that doesn't happen this week? Remember to take time out for yourself this week to meditate, take a walk, read a book ..... just something to get away from the hustle bustle of the frantic holiday energy all around. If you feel life closing in on you and you have no way to "escape" at that moment, take a deep breathe and let the stress go out with the breath. Otherwise you will begin to ignore your reality and end up being more surprised by events than you want to me. Take time for yourself. ​This month you may be feeling as if the world is out of control. Well not really, just some miraculous planetary changes happening starting now. Expect the unexpected. 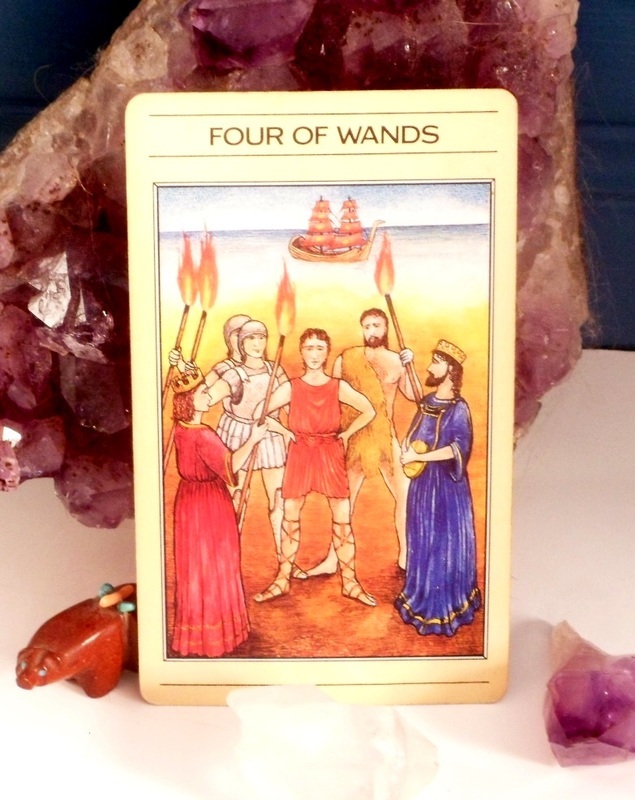 The Four of Wands is saying: let's celebrate! Even though this card is indicating celebration, don't jump the gun. You may be feeling that creative push, or seeing a possible partner in a new perspective or just feel impulsive. These are all good but be aware that emotions are running high this week as well. Before you act, think... don't upset and anger others. Do do expect a gift wrapped up in a unique package: not something you are expecting. So keep those eyes and ears open. ​As we enter into the month of December, we often find that we are already in a whirlwind that started with Thanksgiving or as many people refer to it: the holiday season. December can be a rocky month for many between purchasing presents for others, financial issues often, traveling or having family come, emotions can run high... but in the end The Empress is telling you that as long as you hold your head up high and stay to your morals , you will have a fantastic month. Don't go overboard on your budget for presents, don't enter into arguments, stay-focused and remember who you are. You will find the holiday season brings you only joy in this fashion. 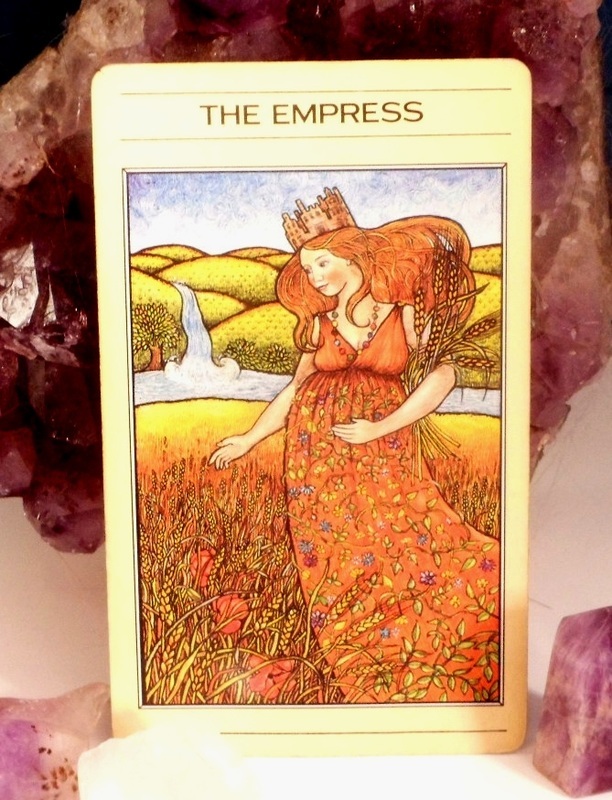 Happy December!r chasing presents for others, financial issues often, traveling or having family come, emotions can run high... but in the end The Empress is telling you that as long as you hold your head up high and stay to your morals , you will have a fantastic month. Don't go overboard on your budget for presents, don't enter into arguments, stay-focused and remember who you are. You will find the holiday season brings you only joy in this fashion. Happy December!